The Tandberg Data RDX QuadPAK provides an easy to use and highly affordable rackmount solution for RDX customers. The RDX QuadPAK allows up to four RDX external drives to be securely installed in a 19" rack to simplify backup and restore operations. 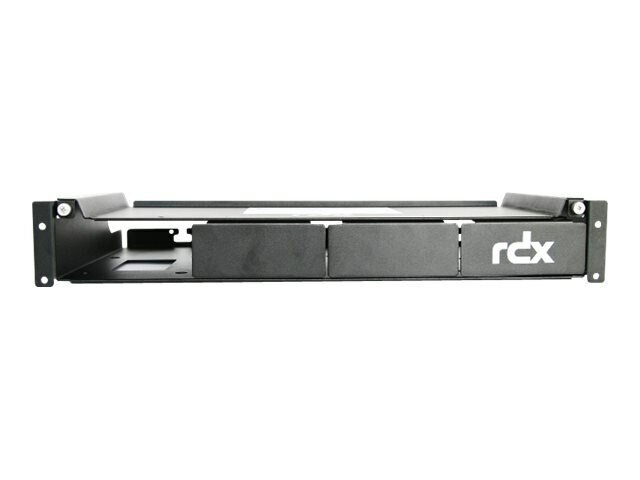 This enables RDX to coexist with other IT equipment like servers, disk systems and network components in one rack.